Rite Rate Heating and Cooling is a premier provider of air conditioning, heating, and plumbing services to both residential and commercial customers in Ridgewood, New Jersey. Our company has established itself as an industry leader in providing plumbing, heating, and air conditioning services 24-hours each day by an expert, trained technician. This is through setting the standard as a top provider that clients trust and hire for all of their repair, maintenance, installation, and replacement needs. We are fully insured and licensed to take care of all of your plumbing, air conditioning, and heating needs. Our comprehensive and affordable HVAC and plumbing solutions are guaranteed to exceed your expectations. This includes residential new construction, enhancement, warranty, replacement, and maintenance services. With several years in-the-plumbing and HVAC business, you can always trust our company for heater & air conditioner service, repair, replacement, as well as installation. From small repairs to big remodeling projects, we can repair, service, replace, and install small & big grade heating, cooling, as well as refrigeration systems in residential and commercial environments. Our highly trained and product knowledgeable technical staff will ensure every service call is performed right the first time. We offer state of the art techniques and products designed to last. Our HVAC specialists can tackle repairs on most makes & models of air-conditioners. They will also help you determine the perfect solution that is right for you. You can rest assured your HVAC system is being repaired and maintained properly. Our team of experienced plumbers is also ready to assist you with all plumbing installation and repair services. We respect our client’s time and always arrive at our commercial and residential appointments on time to deliver our affordable plumbing services. Along with our experienced technicians, we also pride ourselves on our courteous, professional, and friendly customer service staff. They are ready to answer questions and assist you with all your service, maintenance, replacement, and installation needs. 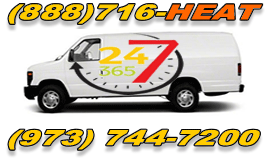 Our 24-Hour emergency service is always available and ready to dispatch the right service technician anytime you need a plumber, air conditioning repair, or heating repair. This includes 365 days a year installations of air conditioners, furnaces, and boilers. You'll have peace of mind knowing that you have chosen a company that is committed to getting the job done right.